Introducing FELIWAY CLASSIC. Same great product, new packaging and name! 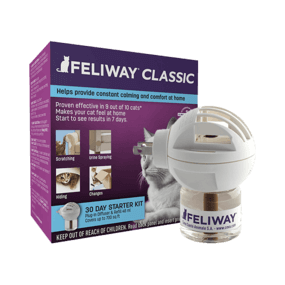 FELIWAY CLASSIC Diffuser is a clinically proven solution to comfort cats at home and may help decrease urine spraying, scratching or hiding. Each diffuser refill covers an area up to 700 sq. ft.